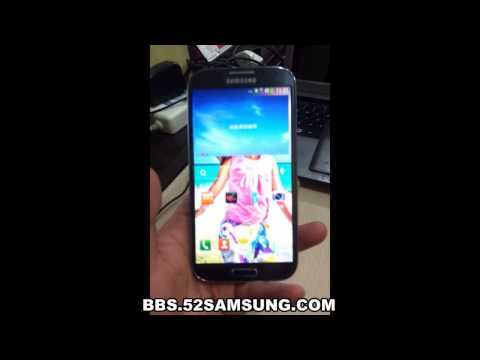 First Samsung Galaxy S4 Hands-on Video? Discussion in 'Technology News' started by hodg100, Mar 12, 2013. The author of yesterday's (potential) Samsung Galaxy S4 photo's has taken matters one further by releasing the World's first S IV hands-on video. Obviously there's no confirmation that this is legit, it's obviously a working phone with a slightly thinner bezel than that currently used in the Galaxy S3. The phone in the video is clearly running TouchWiz, Samsung's own specially developed user interface used in its higher end offerings. The poster of the video shows a sense of fun by having an iPad promo running in the background whilst having a dig at the volatile relationship beyween Samsung and Apple. So it it an S4 or something else?